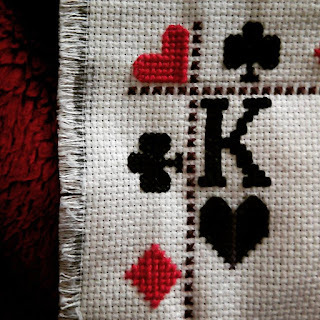 I had someone ask me for the pattern of the card suits I used in my Alice cross stitch which I'm happy to share. 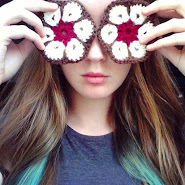 Like this person, I couldn't find any satisfactory patterns online, so I made them up. Each card suit measures 9x9 stitches which makes them nice and easy to place in borders. 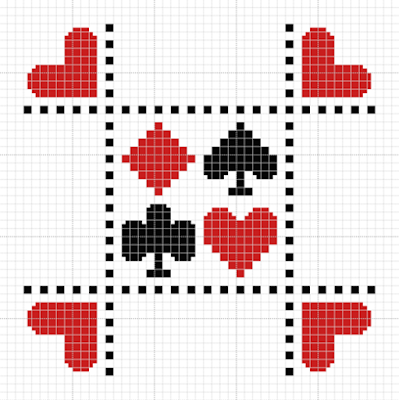 The smaller squares in the rounded parts of the hearts, clubs, and spades show where to put your half cross stitches. I think they give a nice shape without having to make the design too big, as you can hopefully see below. So there we are, card suits. Please use them as you wish!